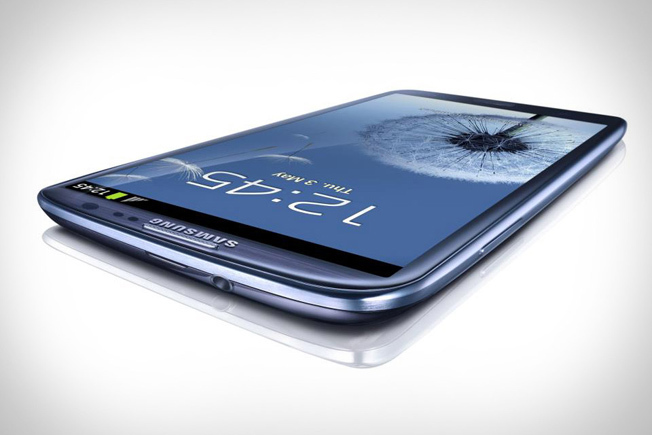 The Samsung Galaxy S III is posting impressive sales figures around the world. But Samsung isn’t going to milk its flagship product for very long. According to a recent article in The Inquirer, the Samsung Galaxy 4 will be announced in February 2013 with a release date around March. The article cites a “loose-lipped Samsung executive.” Obviously, there no way to verify these claims as of yet, so take everything with a grain of salt. Details about the Galaxy S4 are hazy at this point. However, according to the rumor, the S4 will feature a massive 5-inch HD AMOLED display. It will use Android 4.1 Jelly Bean and feature a quad-core Exynos CPU. The Galaxy S3 already features a sizable screen at 4.8 inches, and some people even say that the screen is too big to comfortably use (one of the few complaints about the S3). Expanding that screen to 5 inches could alienate some users. Other than that minor issue, it would be tough to resist an S3 that has more powerful hardware, a flexible screen, and Android 4.1. The big S4 announcement will take place in Barcelona in February. Why Barcelona? The annual Mobile World Congress (yes, apparently that’s a thing) will take place in that city, giving Samsung a perfect opportunity to unveil its new S4. The announcement about the S4 isn’t too surprising. The S3 was released in May of this year, and Samsung generally upgrades its Galaxy lineup on a regular basis.